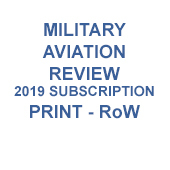 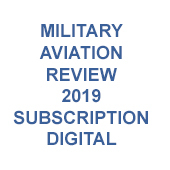 Subscription to the print edition of Military Aviation Review for the calendar year of 2019. 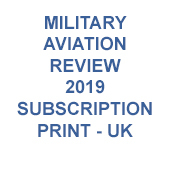 When checking out it is important that you fill in your postal address correctly as this will be entered into our records and all magazines will be sent to this address. 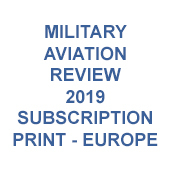 Military Aviation Review subscriptions run from January to December so if you take out a subscription in July you will receive the January to June editions in bulk and then receive the rest of the year's editions every month after publication. 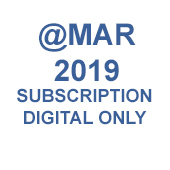 If you would like to only subscribe for the remainder of the calendar year please contact us at brianmap@btinternet.com and we can quote you a price.